Budget white welly shoes great for caterers and food trade use! 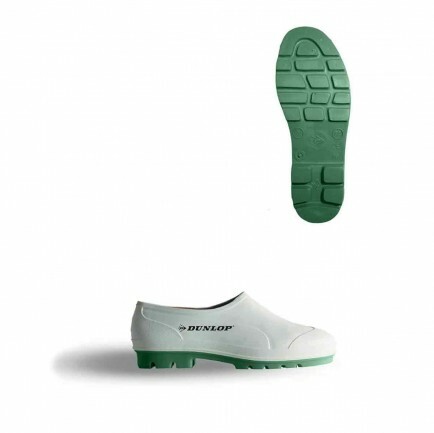 The Dunlop White Wellie Shoe is a budget waterproof shoe ideal for the food trade. Non Safety. Excellent value shoe - built exactly like a PVC / Nitrile welly but only ankle height. The Dunlop White Welly Shoe is 100% waterproof.